Emily Schmitt and I just returned from Haiti with encouraging news from the clinic and orphanage. The children that were rescued from a bad situation in February look healthy and happy. The facilities at the All My Heart Haiti orphanage are better than I imagined and the staff has done a wonderful job of providing structure and a loving environment for the children. We will continue to support this work and give these children every opportunity possible to succeed physically, spiritually and academically. 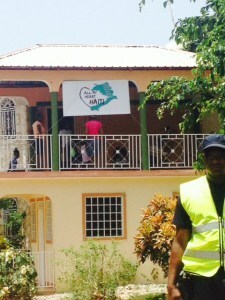 The clinic in Jacmel is thriving and the staff continues to grow in confidence and effectiveness. Many patients have been affected by the Chikungunya virus which presents with flu like symptoms with the addition of significant joint pain that moves around from joint to joint. We are also in the process of setting up infrastructure to develop tele-therapy in the Jacmel clinic. This would give us the opportunity to continue teaching and instructing clinicians in an interactive environment as well as being available for clinical advise/opinions. Thanks to all of our patients who have donated items for the orphanage and offered financial support!